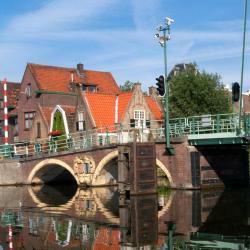 Looking for hotels in Delfshaven? 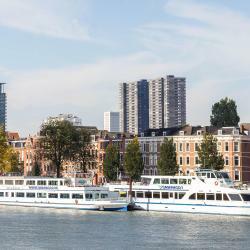 Hotel Port is a modern hotel just a 10-minute drive from the center of Rotterdam. The luxurious hotel rooms provides a lot of comfort and has a work desk. Breakfast and the garden at the backyard was great. Hotel Milano is centrally located only 0.6 mi from Central Station and a 20-minute walk away from shopping district. It offers rooms with free Wi-Fi. Nice breakfast, staff was very accommodating. we could leave our bags until our room was ready. 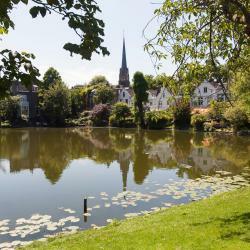 Located in Rotterdam, 1.7 miles from Rotterdam Zoo, Royal Hotel features a garden. Featuring a 24-hour front desk, this property also provides guests with a terrace. A male staff member helped with getting our stuff from my car to the room. After negotiating with a staff member about the heat and there not being any form of cooling in the room especially as we were staying with our baby, he finally but quickly brought us a fan to keep the room at a cool temperature. Parking in front of the hotel. 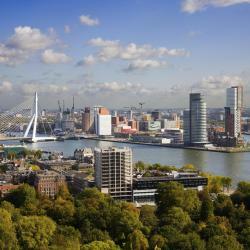 Hotel Amar is in a calmer area of central Rotterdam, one mile from the Euromast TV tower. It features a 24-hour front desk, included breakfast and basic rooms with private bathroom facilities. Good service. The staff there are very nice. And the room is quite large and clean. Bed and Breakfast Rotterdam provides accommodations located in Rotterdam, 1.9 miles from Rotterdam Zoo and 3.2 miles from Familiepark Plaswijckpark. Complimentary WiFi is available. 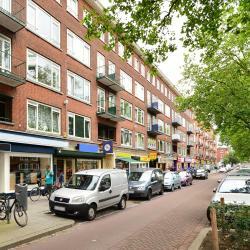 Sam's Place, a property with free bikes, is located in Rotterdam, 2.6 miles from Rotterdam Zoo, 4.1 miles from Familiepark Plaswijckpark, as well as 5 miles from Erasmus Universiteit. Great bed, bath and just an amazing space + host in general. Situated in the heart of Rotterdam, this stylish "bed-and-bike" offers tasteful rooms, free use of bicycles and free Wi-Fi. Stay at the only Bed and Bike in the city. The owner was most helpful and this was very good as we had little time so her recommendations made a big difference in no wasting of our time.